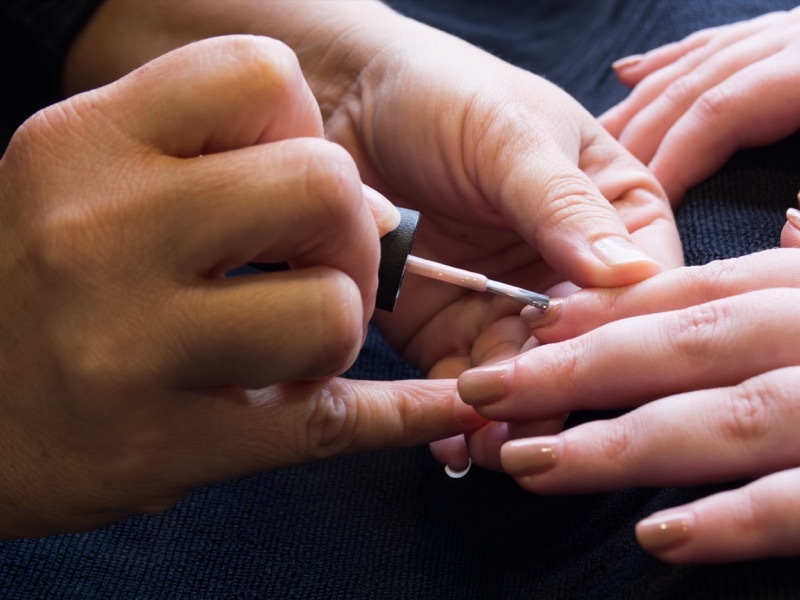 Our expert nail technicians will have your nails looking beautiful! Custom blended from our menu of herbs, this manicure exfoliates, soothes and moisturizes even the mosst stressed hands. Includes choice of nail color or strengthener. For our clients on-the-go! Enjoy a 30 minute manicure to reshape the nails and clean up the cuticles. Classic Manicure followed by a Shellac color coat, goes on beautifully, wears amazingly, dries immediately, and removes with no damage. Shellac creates a durable, scratch resistant, high shine for up to 14 days. A new, quick applying, odor-free acrylic alternative that promotes a clean-air environment while offering gel-like shine and wear without the need to light cure. The ultimate deep hydration for the hands. Immersed into warm paraffin infused with lavender and Vitamin E.